Pictured above is an exceptionally perfect and very rare "Vamana" Salagrama Sila adorned with the sacred Chakra of Lord Sri Visnu. This Salagrama is also known as "Vasudev." Origin: The Krishna-Gandaki River in Nepal. According to the Gautamiya Tantra, "a stone from any place other than the Gandaki River in Nepal can never be a Salagrama Sila." In Sri Hari-bhakti-vilas it is stated, "merely by touching a genuine Salagram Sila one becomes free from the sins of millions of births, so what to speak of worshiping Him. By puja of Salagrama Sila one gains the direct association of Lord Hari." The Skanda Purana states that, "a genuine Salagram Sila is directly a manifestation of the Supreme Lord Visnu and does not require any installation." As stated above, "the sale or purchase of a Salagram Sila is strictly prohibited. Anyone who attempts to determine the material value of a Salagrama Sila will live in hell until the end of the universe. The area within a radius of twenty-four miles from where a Salagrama Sila is worshiped is considered a holy place (tirtha). Anyone who sees, bathes, worships, or bows to a Salagrama Sila will receive the same piety as doing millions of sacrifices and giving millions of cows in charity." "Without having accumulated pious activities, it is very difficult to find a Salagrama Sila in this world, especially in the age of Kali-yuga." In the Padma Purana it is stated, "if a devotee who is properly initiated in prescribed mantras does the puja of Salagrama Sila, he will attain the Supreme Lord's spiritual abode without a doubt." 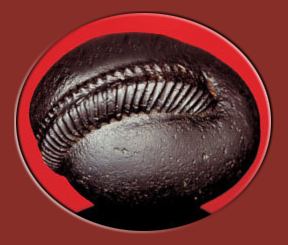 Sri Shalagram Sila is an ammonite formed 140 million years ago, and manifest externally as a water-tumbled stone; therefore Shalagram Silas may be said to be gems. The word "gem" is used for any fine quality stone, pearl or coral that is rare, attractive, portable, durable, valuable, and powerful; in the case of Shalagram Sila the ruling Deity is Lord Hari, also known as Sri Narayana Bhagavan. 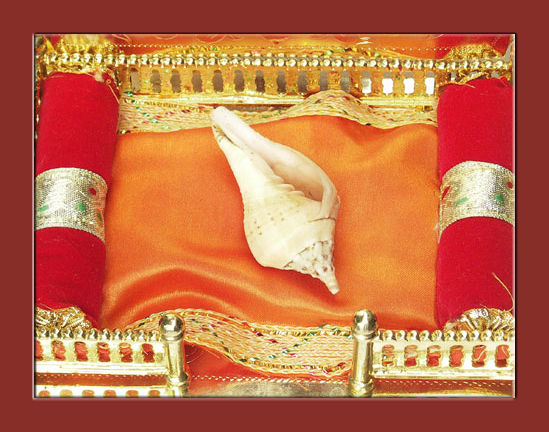 A normal fine quality planetary gem, like a ruby or pearl, needs only an initial invocation to begin ownership; but a Sri Shalagram Sila must be worshiped daily with certain paraphernalia such as Tulasi leaves, Ganga-jala, fruit and water, etc. Puja is offered to Shalagram Sila according to the desire of Paramatman within the heart of the devotee. Sri Shalagram Sila ALWAYS controls his Own worship from within the heart of His sevak. 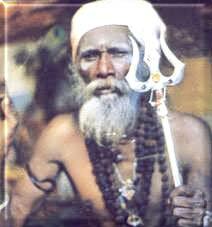 Attached is a color picture of the sadhu who gave me my Shalagram Sila. This photo was taken in 1975 when he was already over 100 years of age. When he was a child he was given in alms to wandering monks who brought him up as a bal-brahmachari. He lived over 90 years in the Himalayas performing tapasya. He passed away in Bhaktapur, Nepal in 1999. His name was Sri Hari-siddhi Kali Baba. Kali Baba was the most famous sadhu in Nepal before his demise. He was responsible for founding schools in Dhulikhel, Nepal, and he also organized three orthodox Srimad Bhagavatam Sapta Maha-Yajnas which were huge events in the Kingdom. Some people say he was a Shivite-sadhu; but I knew him well speaking in Hindi, and his name was "Hari-siddhi;" as for Lord Shiva, Kali Baba himself was Lord Shiva. Hari-siddhi Kali Baba had a most amazing collection of Shalagram Silas in his "dhooni" (where a sadhu keeps the fire). 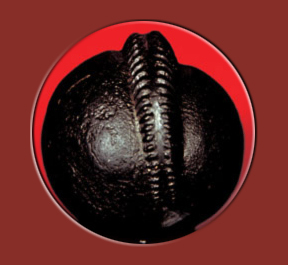 One Narasinga Shalagram was museum quality perfect and weighted about 20 kg, most of which was the huge chakra. The Shalagram he gave me (pictured above) is 1 inch in diameter with perfect chakra and shape, and he took that Shalagram from his friend in Pashupati Nath Mandira (who sold religious items) and told me It was better than any of the ones he had. It was-IS perfect. Kali Baba put the shila in a small bag and handed it to me, no charge. With Kali Baba there was NEVER any charge. Because Sri Hari-siddhi Kali Baba personally gave me Lord Vishnu, in Shalagram Sila murti, therefore I am eternally indebted to His Holiness. I hope you will see his photo because he was most extra-ordinary. Given by H.H. Sri Hari-siddhi Kali Baba in Dhulikhel, Kingdom of Nepal. 1975. Authorized by Srila A.C. Bhakti Vedanta Swami Maharaj,..."My dear Hrsikesananda, worship Salagrama Sila nicely, husband and wife.---Your ever well-wisher, (signed), A.C. Bhaktivedanta Swami." Center: Krishna Balarama Mandir. 3/11/76.